In this Bonus episode, Gunther introduces an approach that he has developed over the years, to help companies that are struggling with Scrum in particular or Agile in general. But before that, we have a very interactive conversation about some key questions for Scrum Masters and Agile Coaches. We start by reviewing some of the biggest and most common struggles that companies face when adopting Agile. In this question, we not only review the most common obstacles, but we also tackle the true origin of Scrum and Agile. Why it is there, and what are the promises of this way of working that get forgotten in many of the Agile adoptions in the world. Scrum, specifically was created to improve the quality of the workplaces where it is used. But is that idea followed in practice? Many organizations start from the point of view that Scrum is a way for teams to work. That is far from the truth, according to Gunther. Scrum is a whole organization way of working, with the PO (product Owner) role being an example of a role that transcends the team focus and works with the whole organization to help create an understanding of value that ultimately gets translated into the team’s work backlog. Gunther points to the biggest silo of them all, as an example of how we misunderstand Scrum: the silo between “business” and IT. How do we remove obstacles to the successful adoption of Scrum? With a specific approach to Scrum adoption that Gunther shares with us. This is an approach that he has developed over the years and reflects the patterns of successful adoption he’s seen. He calls this approach the “Scrum Zone”. Once the major obstacles to adoption are overcome, we then need to understand where to take Scrum in our organizations to make it a core productive engine for our businesses. This is what Gunther calls “Reversify, re-imagining your organization”: make it a productive engine, a core of value production that aligns the whole organization. 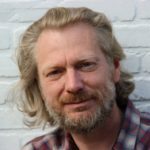 This is an approach that Gunther has been developing over the last few years and shares with us in this unique BONUS episode about the future of Scrum. During this episode we mention several resources. Here’s a list for your reference. Gunther left consulting in 2013 to partner with Ken Schwaber, Scrum co-creator, at Scrum.org. He represented Ken and Scrum.org in Europe. Gunther left Scrum.org in 2016 to continue his journey of Scrum as an independent Scrum Caretaker. He calls himself a connector, writer, speaker, humaniser. Gunther assists, serves, advices teams, individuals and executives. Gunther believes that Scrum – the most applied software development framework – will not only increase the value that software delivers to organizations but is also a way to re-humanise the workplace for people. Gunther likes to inspire individuals, teams, departments, and organizations to realize their potential. Beyond Scrum, Gunther is all about his family, life, books, and music. He communicates in Dutch and in English. Gunther is co-creator to Agility Path and the Nexus framework for Scaled Professional Scrum.